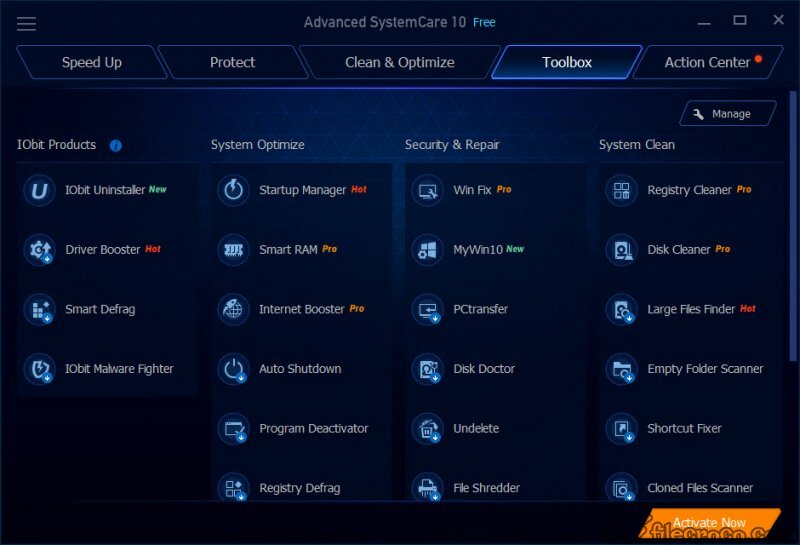 Advanced SystemCare Free is a versatile and reliable computer optimization suite designed for Windows PCs. It comes with many great features and utilities and promises to keep your computer clutter-free and running like it did when it was new. We have put this promising program through our tests and we have been impressed by the way it works. Let’s take a look at some of its most important features. 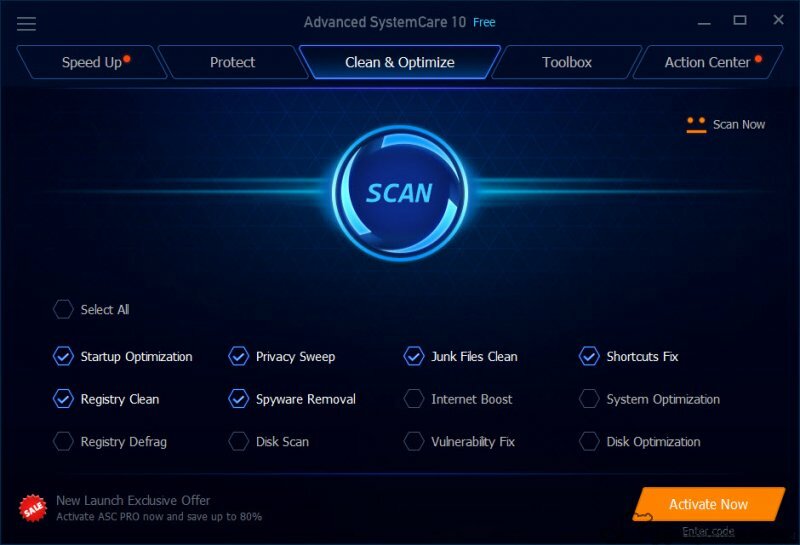 The program cleans, maintains and takes care of your computer by improving its performance. The program is able to defragment your hard disk and can optimize the way applications take up disk space. It can also change the operating system’s most deeply buried settings. A nice thing is that this software is able to destroy specific files irreversibly very useful when you want to make sure something is gone forever and cannot be recovered. The interface has a Toolbox section that contains all the utilities of the software bundle. 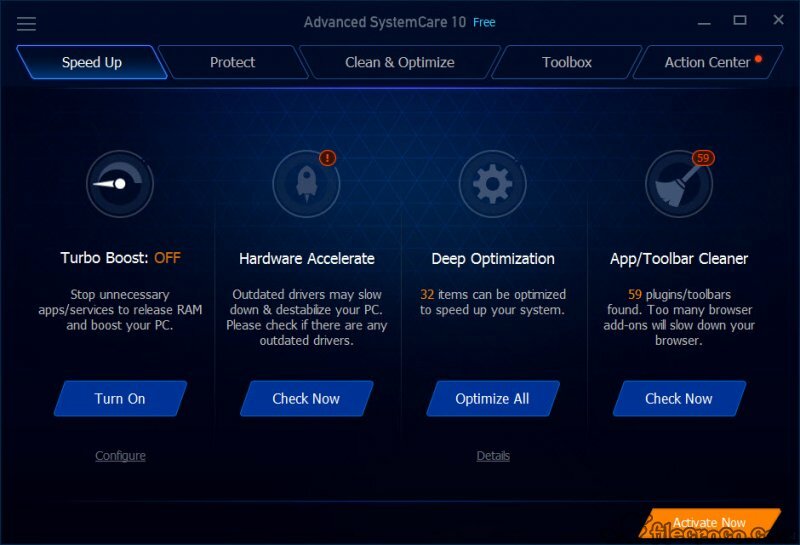 There you can find four categories: System Optimize, Clean, Repair and Security, and Clean System. You can keep your operating system clean from the Toolbox and even access some of the more advanced options. 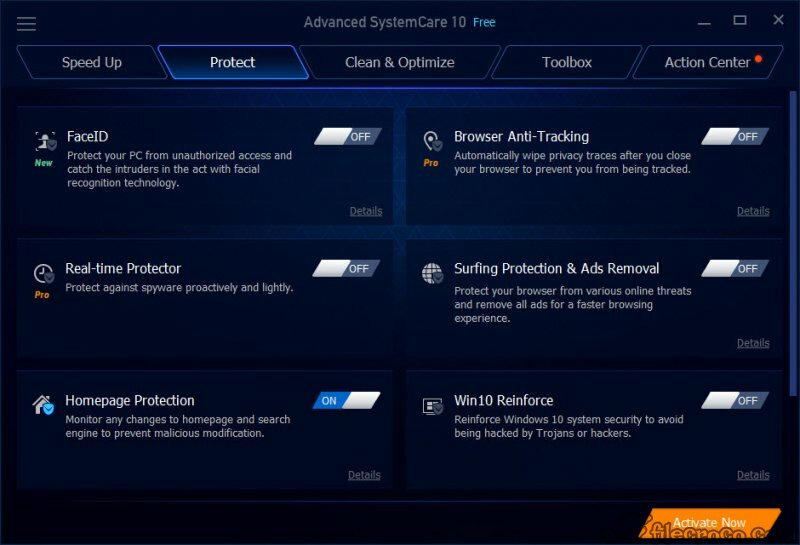 The program is able to scan your Windows installation and detect vulnerabilities. Don’t forget that malicious attacks do take advantage of OS vulnerabilities to do a lot of harm ‘ from stealing your usernames and passwords to deleting or locking sensitive files. You get a nice widget on your screen that displays the RAM and CPU usage, hard disk and network traffic flow, as well as some tools to quickly free some RAM memory and save screenshots. From the Rescue Center, you can manage and create Windows restore points. These are important in case of a crash because they allow you to restore Windows to a previous point and undo changes made by viruses. 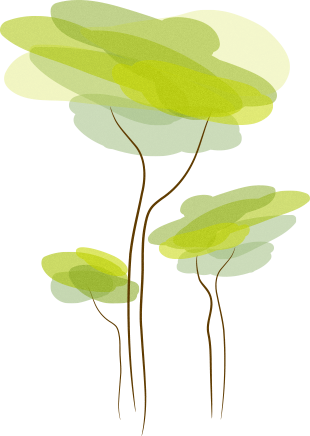 Use the Turbo Boost feature to speed up your computer immediately by disabling various processes and services that are unused. Other features include a homepage protection, a program deactivator, a ManageMyMobile utility (which cleans Android smartphones), and a hardware drivers updated (IObit Drive). There are many other features and options as well, but the ones above are the most important. Advanced SystemCare is faster and more intuitive to use than its main competitors TuneUp Utilities and WiseCare 365. It also managed to keep our test Windows computer in perfect working order.